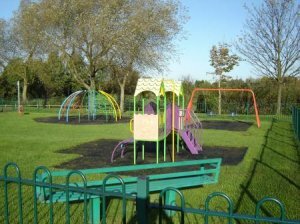 Birstall Parish Council own and operate three playing fields and one enclosed play area in Birstall. 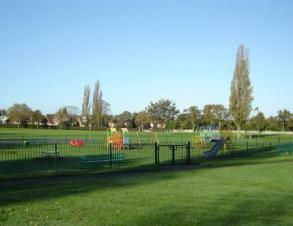 The School Lane Playing Field has a wide range of facilities to suit youngsters and older children. There is ample parking and toilet facilities including a disabled toilet. There is a height restrictor bar - no vehicles over 1.8 metres. This area is a favourite with families and dog walkers, and is the venue for the annual Gala, it also hired by local Football, Rounder's and Cricket Teams during the appropriate seasons. There is a Public Spaces Protection Order in place which requires all dogs to be kept on leads at all times and owners must pick up after their dogs and place the waste in the many bins provided. To read the full document please click Here. There is an enclosed children's play area on the field and some newly installed outdoor gym equipment. The Sports Pavilion is situated in the centre of the field which is used by sports teams, but is also the home of Birstall Youth Café, a Parish Council run initiative for 8 - 11 year olds, they open their doors from 6pm - 8:30pm on Mondays and Wednesdays. The Harrowgate Drive Playing Fields has a range of facilities for youngsters and older children, with fantastic views of Bradgate Park, unfortunately, there are no parking or toilet facilities at this venue. 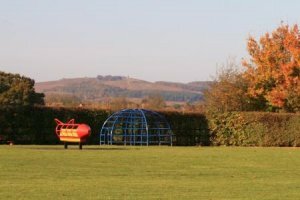 There is a varied selection of play equipment including an enclosed toddlers area and some newly installed outdoor gym equipment for the adults. This area is another favourite for families and dog walkers, however, there is a Public Spaces Protection Order in place which requires all dogs to be kept on leads at all times and owners must pick up after their dogs and place the waste in the many bins provided. To read the full document please Click Here. Meadow Lane Playing Fields is another popular are for families and dog walkers, however, there is a Public Spaces Protection Order in place which requires all dogs to be kept on leads at all times and owners must pick up after their dogs and place the waste in the many bins provided. To read the full document please Click Here. There is a selection of different items of play equipment, there is an enclosed toddlers area, a Skateboarding area, Youth Shelter, a BMX dirt track and a Zip-Wire.